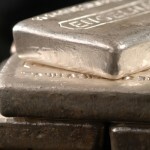 Silver bullion coin sales in November broke the previous annual record of 44,006,000 ounces sold in 2014. With one month still left in 2015, the year-to-date silver coin sales tally has hit a new record of 44,666,500 ounces. July Comex silver traded up $0.392, or 1.26%, at $19.73, after the preliminary HSBC China manufacturing purchasing managers index (PMI) for May came in at 49.7. That was up from 48.1 in April, and was the best reading in five months. 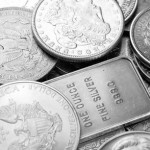 It's like Money Morning Global Resources Specialist Peter Krauth has been saying: A low silver price doesn't scare away investors; it draws them in. 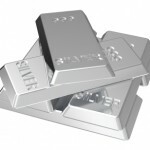 As silver prices slumped 36% in 2013, retail investors took advantage of the dips and sent physical silver demand up 13% to an all-time high, according to World Silver Survey 2014. After rising as much as 16% earlier this year, silver prices are now nearly unchanged year-to-date. They're up just 0.2%, while gold has gained 7.2%. Silver's option activity sits near a decade low. That's highly unusual - and won't last. 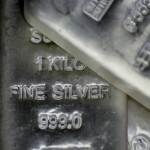 The silver price was modestly higher Friday amid mounting geopolitical tensions that have stoked bullish options activity. 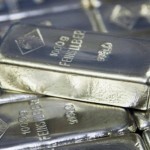 In early afternoon trading, spot silver was last up $0.03, or 0.15%, at 19.78 an ounce. The metal traded as low as $19.57 and as high as $19.92 in another volatile session. But what we care about is the big picture. Spot silver prices rose $0.07, or 0.4%, to $19.86 an ounce midday Monday as precious metal traders and investors gear up for a busy week ahead. Market participants remain guarded, with a spate of U.S. economic data flooding in as the week wears on. 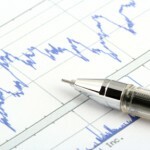 Capping the busy week will be Friday's closely watched March jobs report. Meanwhile, Monday caps the end of 2014's first quarter. Amid frenzied demand to buy and store silver, a Singapore retail supplier of coins and bars opened a new 600-metric-ton vault on Monday. 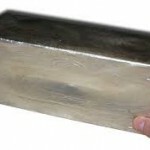 The sizable Silver Bullion Pte. Ltd. storage facility can hold some $390 million worth of silver (at Friday's prices of $20.33 per ounce). Known as The Safe House, the new facility is located west of Changi International Airport. At present, it keeps some 37 tons of silver, mostly for its retail clients, behind a secure 2.5-ton stainless door. 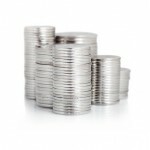 Silver prices today (Friday) were modestly higher as bargain hunters stepped up to buy the dips. In early trading, spot silver last traded up $0.11 to $20.45. It's been a volatile and punishing week for silver. In morning trading Thursday, silver futures for May delivery slumped 2.3% to $20.355 an ounce, on pace for the biggest drop since March 7. Buoyed in early trading by a flight to safety amid simmering turmoil between Ukraine and Russia, silver prices today are showing signs of life. 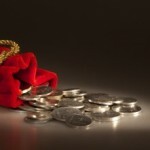 In morning trading Friday, the price of silver rose $0.62, or 2.44%, at $21.89 an ounce. While the white metal slipped $0.148 Thursday to finish the session at $21.25 an ounce, the dip came on mild profit taking. Silver had a stellar showing Wednesday, ending up 2.66%, or $0.55, at $21.33. 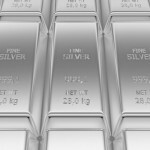 Despite lower silver prices, Vancouver's Pan American Silver Corp. (Nasdaq: PAAS) reported strong earnings yesterday (Thursday) that sent its shares soaring 6.28% over the day - and up to an 8.35% gain through Friday. At first glance, Pan American's story may appear grim. In 2013, silver prices fell 35.7%, and Pan American shares fell right alongside, for a remarkably similar 35.57% loss across the year. Thursday's earnings posted a net loss of $293.1 million, or $1.94 per share, during Q4 2013. A number of penny stocks showed investors some love today (Friday) with huge share-price climbs. While the Dow Jones Industrial Average rose just under 1% by 2 p.m., these hot penny stocks were up double digits. Following are five of Friday's biggest low-priced movers.